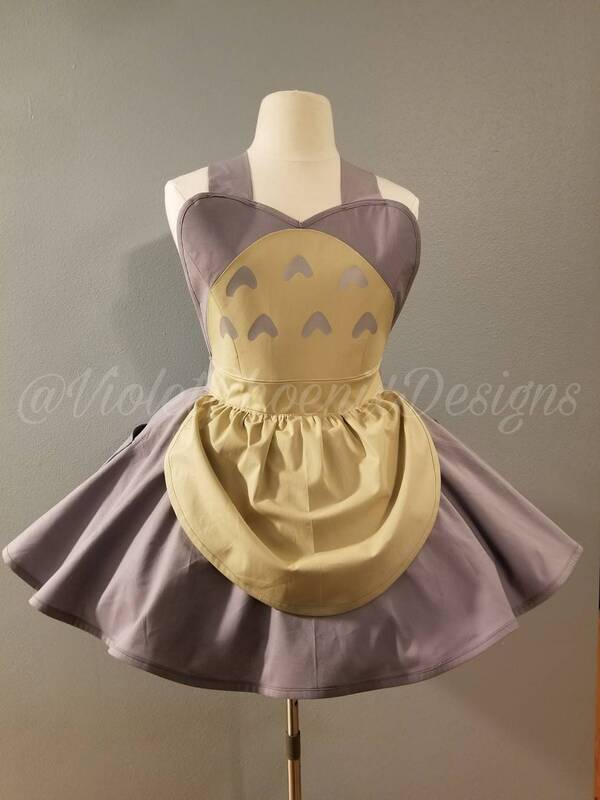 This hand made apron is crafted of the best fabric just for you. 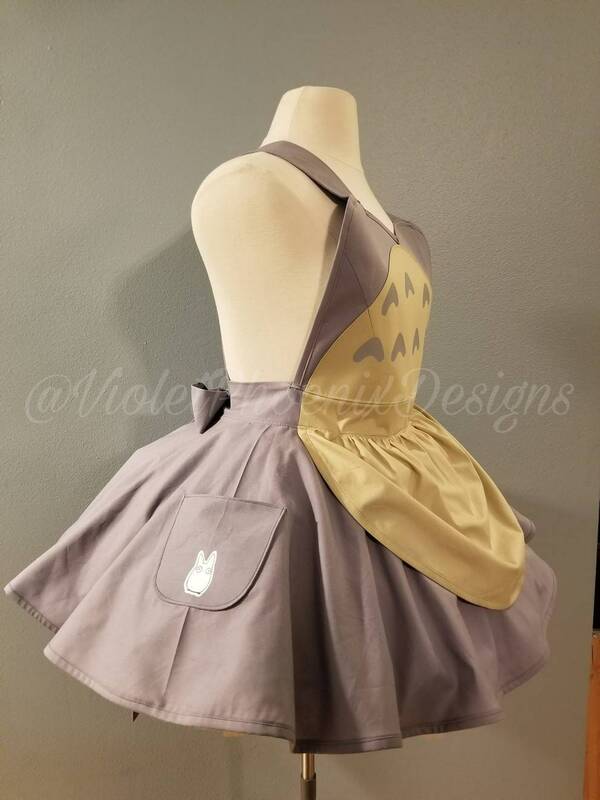 The princess seamed bib is double lined and trimmed with our in studio manufactured bias tape. 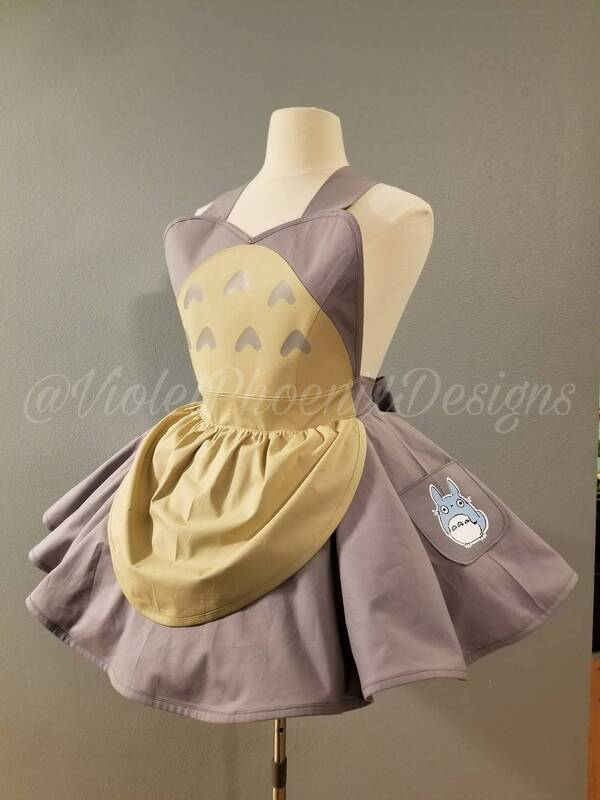 Each layer of the two-layer apron skirt is trimmed in bias tape as well. 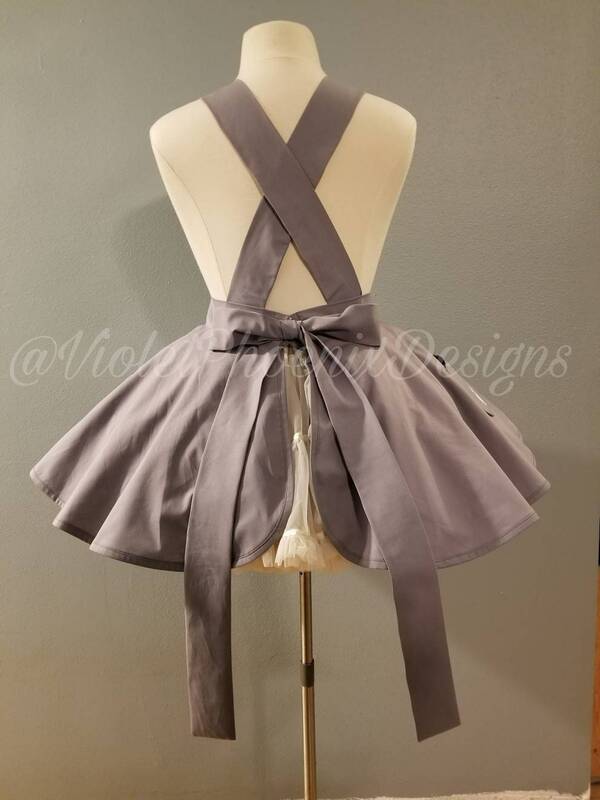 The waist ties are long and can be tied in a cute bow in the back or wrapped around your waist and then tied in front. The bib features the endearing heart-necklined detail. All the details are heat sealed designs cut and sealed by our in house team.